But actually that can’t happen. Because whatever happens in the outside world makes no difference on feast day. The dances are the dances, the same as they were 100 or 1,000 years ago. The hospitality and generosity are unchanged. 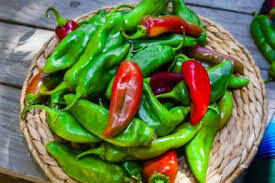 The meals today may include jello and cupcakes with pink frosting, but the beans, the corn, the squash, the green chile and red chile stews, and the oven bread are all the same. There have been periods in the past, where invaders forced pueblo people to move for protection to high mesa tops, or to hide in canyons far from home. And there have been “episodes” in more modern times where guests have acted badly, broken rules, taken photos or made recordings, and the pueblo has closed its ceremonies to outsiders for a few years. But no matter where they are or what the circumstances the pueblos continue to dance and pray for all living things. Recently we went to two feast days – a King’s Day celebration at Isleta Pueblo south of Albuquerque on a Sunday, and the next day a deer dance at San Ildefonso Pueblo north of Santa Fe. We had friends at each pueblo so we were guaranteed full and happy stomachs. But we took away so much more. As we listened to the drumming and chanting and watched the dancers, from toddlers to great grandmas and grandpas, I was struck by the fact that this community had been honoring this day in this way for hundreds of years before I was standing there, and that they would be dancing the same dance to the same drumming hundreds of years from now. Of course things change and probably a key to the survival of this culture is the ability to absorb the jello and pink frosting (and kale salad and broccoli buds, by the way) and continue on. The cultures have survived because of their ability to be flexible where it doesn’t matter and hold the line where it is important. The ritual is the same, the details different. Some costumes may have ribbons or sequins among the shells and feathers, and there may be Velcro hidden here and there. But the fundamental core is there, unchanged and as persistent as the drumming. All generations are participating; some dancing, some cooking, some bringing food to distribute to the dancers and their families, some watching in lawn chairs. I took great comfort as I stood and watched the dances. 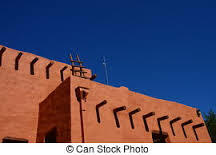 The clear blue sky framed the adobe-brown buildings of the pueblo. The sound of the drums and the voices of the singers, guided the soft shuffling of moccasins on the hard-packed dirt. The dancers, whether four years old or ninety four years old, had the same expressions — calm and focused, somehow in the past, the present and the future all at the same time. The smell of fires and simmering stews, and the feel of the winter air, briefly warm and then turning crisp as the sun dropped toward the horizon — all of this was as it had always been and always will be. I was grateful to be there on those two days, a guest in a culture that survives with grace and persistence, rising above whatever may be happening elsewhere, digging deep and continuing on. So very true. The endurance of Pueblo culture is inspiring and a reminder that perhaps what is occurring in Washington may also be endured. a good lesson for all of us, to hold that which is of value (celebrating the occasion or event), and moving gently around the “not so important” stuff. Native Americans seem to be able to do this with grace and patience. When conducting restorative justice practices with elementary school children, we often ask them to go to their “Happy Place” when they feel frustrated or are becoming angry. This sounds like one of your, I suspect, many happy places. Hadn’t thought about it that way, but yes, we all need a “happy place” in this demanding world. I want to be able to go there, and yet not escape there so often that I cease to be engaged. I certainly agree with James. Thanks for the reminder that the long view of time and tradition can give us hope. I also really like the style of this post, Lucy. Your writing is always very good, but I thought there was something unique about this piece. I like how it seems to have a rhythm like the drumming you describe; themes and images are repeated, even the phrasing seems rhythmic. I don’t know if that was intentional, but I felt it and found it pleasant. Thank you, Jake, for the observation about the writing style. Interesting and I see what you mean. It was not intentional. I actually think it was a result of “being there” in my memory and letting that sensation flow. Thanks to the Franciscans who believed that the Natives had souls. On my trips to the active pueblos, and to Chaco Canyon, Mesa Verde, and the many other sites, I am always awed and respectful for what these people have accomplished and endured. It is so wonderful they have been able to preserve their customs, and culture despite so many attempts to destroy it. I wish I was able to be with you for these festivities. I would like to second Jamie’s comment. Nice piece, Lucy. We sorely need perspective right now.